Well hello! It’s been a while-I’ve had an amazing season filled with absolutely gorgeous brides celebrating their big day with family and loved ones, and am stoked to have time to share some moments of these babes on their big day! First up, Emily. 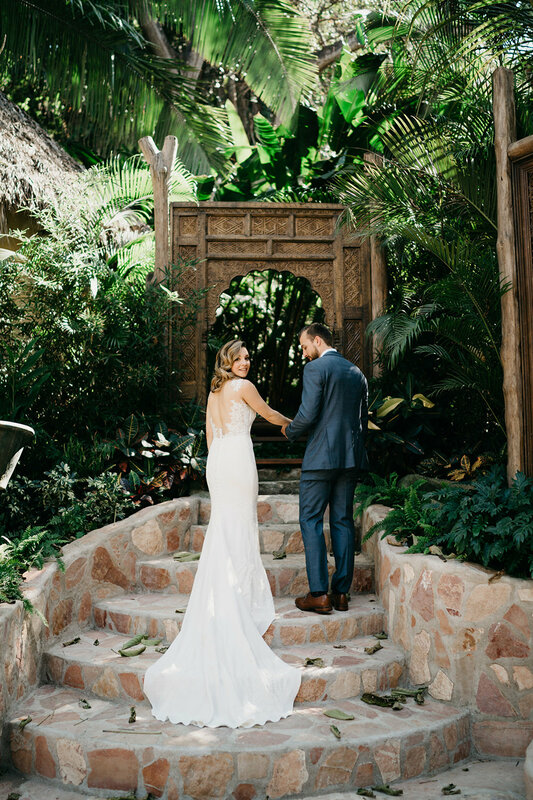 Her recent Sayulita wedding was a 10 out of 10 all around! I’m so grateful to not only work with such amazing brides...but the other vendors I have the good fortune to work with on these beautiful events are the icing on the cake! They say do something you love and you will never work a day in your life. Well, if you want to take it a step further....be surrounded by a team of those people, and magic happens for everyone. A huge round of applause to all my amazing colleagues for being the exceptional artists and human beings they are! When I met Emily in person at her trial, I was blown away. Not only by how beautiful she was, but how sweet, funny, relaxed and fun she was to be around, not to mention the love she had flowing her way from every single person I met that was there to celebrate with her. When we first talked, she told me she wanted something luxurious, yet relaxed with a bit of boho-and I was drooling over the results! I loved her style and the overall esthetic of the final result! Seriously, every detail from the dress to the flowers, and everything in between was the perfect blend of luxury, tempered with a relaxed and laid back aporoach. Thanks so much for choosing me to be a part of your dream team-pretty sure we all knocked this one out of the park!